I did know Ed Wolfe personally, for he was my senior faculty advisor when I was a graduate assistant at KU in the late '50s, but I think of him most strongly as the friend of other people: of Bob Woodley, my best friend, for whom the Woodley Press is named; of William Stafford, one of America's great poets, and the Woodley Press author I featured last month, and of Tom Averill, who was my office mate as long as Bob Woodley was, and who also considered himself Ed Wolfe's student. 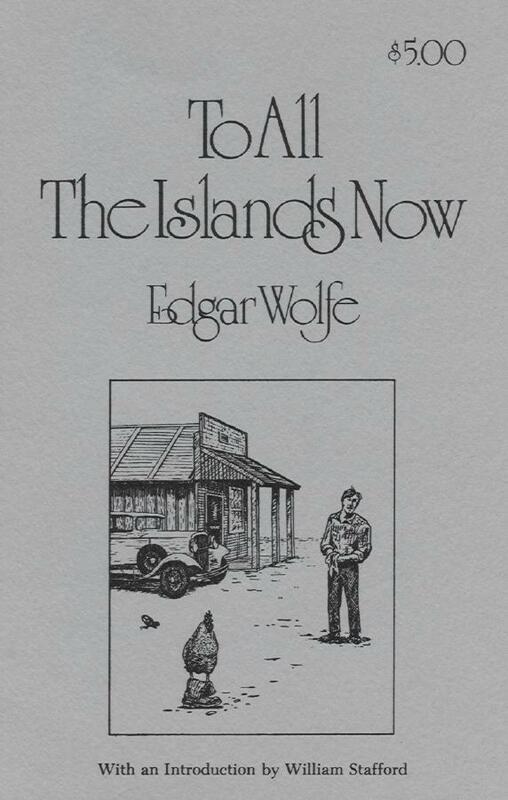 It is particularly appropriate for The Bob Woodley Memorial Press to publish a collection of Edgar Wolfe's fiction, for what Ed was to the University of Kansas Bob was to Washburn University: first its graduate, then, for many years, its creative writing program. Ed graduated from KU in 1928, the year Bob and I were born, and taught creative writing there for thirty years, from 1947 to 1977; Bob graduated from Washburn in 1958 and, beginning in 1960, was following Ed's example as his alma mater's teacher of creative writing when he died in the summer of 1976. Ed was indeed Bob's model, for, when he directed Bob's master's thesis, the novel Cry to Dream Again, they became very close friends, and, through the thirteen years that Bob and I were officemates, he always honored Ed, not only as his mentor, but as one of the finest men he had known. 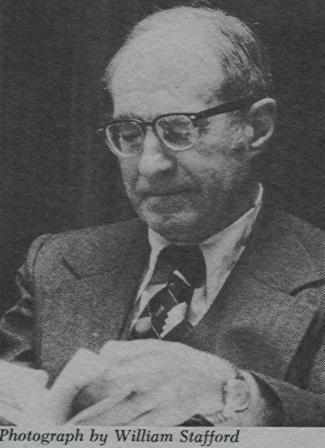 When Bob organized his last writers' conference, in the sporing of 1976, Ed was, as a matter of course, the panelist for fiction, and fiction was always Bob's own forte, what he wrote, and what he taught, best--thanks at least in part to Ed Wolfe. And the others in similar debt to that gentle spirit who presided over creative writing at the University of Kansas for thirty years--including the current teacher of creative writing at Washburn, Tom Averill--are legion. the astonished surface of the sea. For more about To All the Islands Now, including ordering information, see the Woodley Press web site.